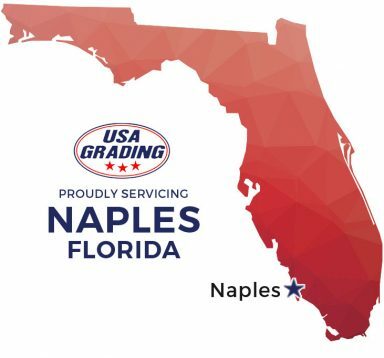 Dumpster Rental Naples, FL | USA Grading, Inc.
USA Grading provides roll off dumpster rental services for Residential and Commercial customers in Naples, Florida. Our staff can help you get a roll off dumpster for any any project. Our rental solutions are easy and inexpensive. Call USA Grading and we will set up the delivery, drop off the roll off dumpster and pick it up when you are done with it. All you need to do is load it up and call us when it is full. Why you should rent a roll off dumpster from USA Grading, Inc? A roll off dumpster is an easy and reliable way to take care of cleanup for a wide range of projects. Whether you are a homeowner, contractor, investor, or a business professional… we have a solution for you! USA Grading makes renting a roll off dumpster a simple, affordable process. Have Questions about Dumpster Rental in Naples, FL? Contact us for with any questions you have or if you’d like a Free Quote on a special project. Please view our pricing guide. Other Services Offered by USA Grading Inc.